Franchise businesses face a unique challenge when it comes to reputation management. Today, almost everyone is on the internet. This is where potential customers learn about your business and decide whether they want to buy from you or not. This is also where satisfied - or not so satisfied - customers come to tell others about their experience. Every business needs to worry about what customers say online, but for franchises with many different locations operating over a large geographical area, negative comments can cause even more damage. As a franchise owner or manager, you have no control over a customer’s experience at other locations, especially those in cities and counties at the opposite end of the country. Yet these comments can hurt your business if they start ranking for the franchise brand. . On many occasions you can be found guilty by association even though you have no influence on what has occurred. 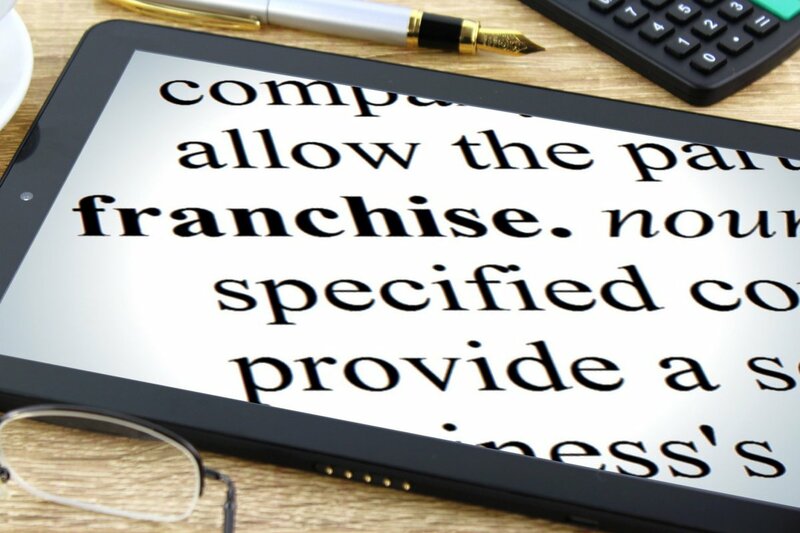 So what can you do as a Franchise Owner? Well firstly it’s important that your current customers and potential customer recognise you are part of a larger brand as there are many benefits to be gained from being attached to a large establishment. Being able to build on an already mature and developed brand allows you a head start and a solid foundation to work from on. As well as embracing the corporate image it’s just as important is that you take control of the message and content your particular franchise is sharing and adding your own personality to it. Your audience will obviously be interested in a nationwide sale that all franchises must advertise but they may also be interested in your charity and fundraising activities/events and stories about your local area etc…. Facebook – Facebook lends itself well to long-form content so it’s a good place to encourage customers to leave feedback. Customers will be tagging you in their posts whatever you do. A well-managed account allows you to stay in touch with these comments and respond to customers’ concerns as they appear. It also offers a unique opportunity to build a personal relationship with followers. Articles, company specials and other publicity will be posted right into customers’ newsfeeds. Twitter – Millions of people interact on Twitter, so it’s another important social media profile that should be actively managed. Many Twitter comments are short, sometimes little more than a hashtag, and it’s a good place to post information you want every franchise customer to see. Sharing interesting and engaging content is vital. Many consumers run a Google search before making a purchasing decision. Posting relevant information about local content and events helps to build a sense of community and belonging from the outset. However, many franchises face difficulties when it comes to sharing unique content and managing their reputation. Corporate restrictions can stop timely blog posts in their tracks, requiring multiple rewrites and approvals from various departments. Furthermore, any original content created will have to fall in line with established corporate messages. This often leaves social media as the only way franchises can communicate with their own customers on their own terms. How you respond to comments can make or break the franchise’s reputation, so it’s important to put a lot of thought into this part of the plan and delegate it to a competent person with experience in PR. Write Individual, Personalised Responses – Customers want to know their comment was read by a real person who takes their opinion seriously. Respond to Positive as Well as Negative Comments – It’s tempting to focus on problematic comments, but people who leave good comments are just as important. They are what will really boost the franchise’s reputation. Don’t Be Defensive – Honest customers are a valuable resource since they let you know what really happens when managers and executives aren’t around. Accept complaints graciously, apologise and offer specifics on how you’re resolving the issue. Move to a Private Setting – Ask disgruntled customers to Direct Message you so you can handle their grievances personally. This gets the complaint off the public forum where it would continue to attract negative attention. Offer Compensation – It can be appropriate to offer a refund or discount to customers who’ve experienced real issues, but this should always be done privately. Otherwise, everyone who complains will expect the same offer. Above all, be transparent. Stifling negative comments will validate the complaint and make the issue bigger. Accept problems as part of the franchise’s operation and show customers you are serious about resolving issues and offering the best service possible. The resources you invest in positive customer relations are nothing compared to what the company could lose through a serious PR issue. The franchise’s reputation is one of your most valuable assets, so it’s important to put time and money into maintaining it.